Best Personal Finance Books of All Time - Become a Money Genius! This post may contain affiliate links - it's how we keep the lights on around here. Here's our policy. What are the best personal finance books of all time? Read through this list, and it's like getting your GED in personal finance. We're not born with money knowledge. Sure, some of us might have a natural fascination with numbers. 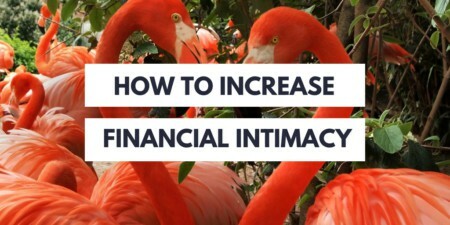 But at some point we had to actually pick up the personal finance knowledge we use on a daily basis to get ahead. At MoneyProdigy.com, I'm closing the money education gap, one kid at a time. My hope is to prevent financial catastrophes at the source, before someone misses a mortgage payment. But what if you never had the chance to get that critical personal finance education back when it could have prevented the financial woes you're dealing with today? 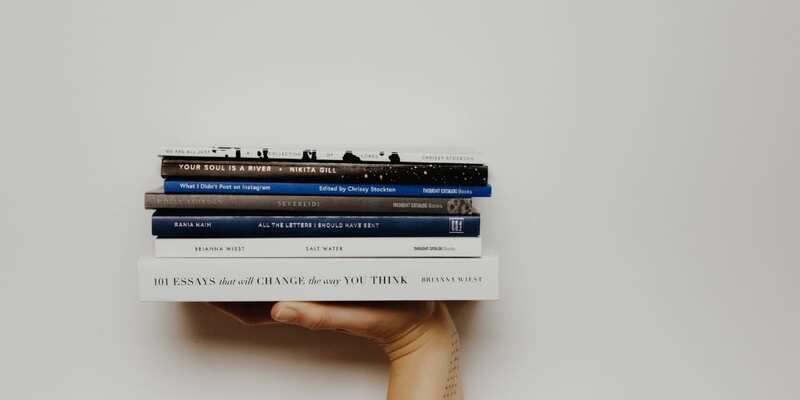 I want to discuss the 5 money books that I've read and that I feel will give you an outstanding foundation for dealing with your own personal financial situations in the most advantageous ways possible. Heck, read these and you're on your way to getting your personal finance GED. I only paid $0.50 for this book at a used book sale, and can't believe the amount of personal financial information it opened my eyes to. And it's such a short book! The author has outlined money truths that are as relevant in Ancient Babylon as they were in 1926 when the book was written, and as they are today in the 2000s. Arkad, from Babylon, is the teacher in this book and he shows us the five laws of gold no one is immune to, as well as the cure for a lean purse. You bet you want to listen up! A theme that spoke to me throughout this book is the call on us to be men and women of action and to resist procrastination. The author points out that the majority of us do not seize opportunities but rather hesitate, falter, and fall behind. For someone who has a backlog reading list of three years or more and often becomes inspired only to write the idea down and relegate it to the back of the line, I think this is great advice. It's so easy to think about digits without putting much value or thought into them. You know, like how high (or low) your salary is, what your raise was, how much the movies cost you last weekend. But this book will make you think completely differently about the numbers. It'll introduce you to the concept of Life Energy, and show you how to make sure you're using yours for your optimal enjoyment (not someone else's). This book opened my eyes to the fact that we don’t trade 40-60-80 hours a week for our salary, rather we trade a certain amount of life energy — our precious allotment of time here on Earth — for our salary. Instead of thinking about the salary I am earning as a number, I was awakened to the concept of how much life energy I was trading for both my salary as well as for the purchases I was making. We also don’t trade money for our purchases, but rather our life energy actualized. The answer might really shock you. While I was completely unimpressed while attending one of this man's free real estate trainings, his book led to an enormous shift in my mind around money. I can boil it down to this: if you want to be wealthy one day, then you need to spend your money acquiring assets that will work for you, not liabilities that will work against you. And guess what? Most of what we buy are liabilities. Eye-opening. This provided a clear cut way to categorize all of our purchases moving forward: are we adding to the assets column, or to the liabilities column? You might wonder why I included this one in the list. Honestly, it made such a profound dent in my thinking about money + work, that I couldn't keep it off. Is it likely that you will get your workweek down to just 4 hours from reading this book? Probably not. But you'll begin to think about possibilities of earning income in a manner you probably never have before. Which means you might make some changes that could alter the rest of your working life. This book introduced some strange and wonderful new concepts to me: lifestyle design, mini-retirements, and outsourcing work. What fascinating — dare I say blasphemous — ideas! The idea here is how to live a millionaire lifestyle without having $1,000,000 in the bank (which has nothing to do with material things). Most of us just want the freedom and experiences we think millionaires have. Tim Ferriss shows us that we don’t actually need to be millionaires to adopt this lifestyle. Many people with high incomes think they are wealthy. This book will open your eyes to the fact that that is entirely untrue. You can earn a huge income but if you spend most of it then you aren't actually wealthy. This book drives home the fact − besides that the Joneses aren't exactly who you think they are − that if you want to be wealthy you have to actually accumulate part of your salary. This is my list. What would you include on a must-read list for a personal finance GED? That’s funny, I just posted an article about The Millionaire Next Door last week. It’s a bit of a dry read, but I too found it eye-opening. Thanks for the recommendations! I’ve only heard about a couple of the books you mentioned, and already have them saved on my Kindle along with other good reads. I really like MJ DeMarco’s The Millionaire Fastlane. 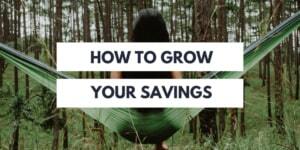 The idea is basically “focus on growing your income instead of cutting your expenses. 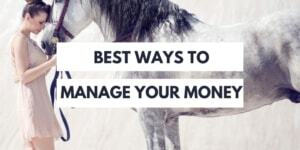 Just keep your expenses under control. Grow your wealth via an exponential business”. I have come across “The 4-Hour Workweek” and it really changed my perspective. Also I feel like the 4 hour workweek is a bit overrated – it’s like selling the dream. I think it got famous because it was one of the first books of its kind out there. Tim wrote it when the internet was still really young and this “make money online for regular people” thing just got started. I’m not super-human, nor am I a financial advisor (you can stalk my About page for more about me)…but I do have this crazy ability to handle my own money + teach others how to handle theirs to its maximum potential. Still, I’m obligated to tell you that this site is for information and entertainment purposes only, and the content herein should not be mistaken for professional financial advice (thank goodness, right? I’m more real than that). It is highly recommended that you seek advice from a professional for serious financial matters. This site and I may be compensated for expressing personal opinions regarding featured products and services.